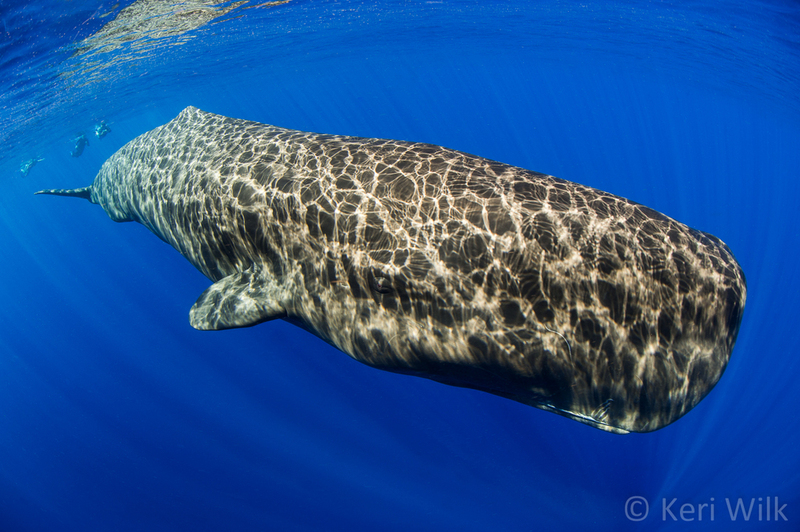 This unique sperm whale habitat has generated much attention for the island, with the result, that whale watching is now one of Dominica's most iconic activities. That is, whale watching from a boat, from a safe distance away, with a few dozen other oglers, for a short period of time. As underwater photographers, I'm sure you'll agree that this doesn't sound very appealing. So, why not just jump in the water to see them better? Well, because such in-water encounters are strictly regulated in order to ensure the welfare of the whales, which are now considered national treasures. Over the past few years, Dominica's government has been issuing a few carefully-controlled number of in-water permits to select individuals - researchers, reputable underwater expedition leaders, documentary film crews and, for the past 4 years --- me. With an in-water marine mammal permit, up to 3 permit members can be in the water simultaneously with any animals that we find along the coast. Dolphins? 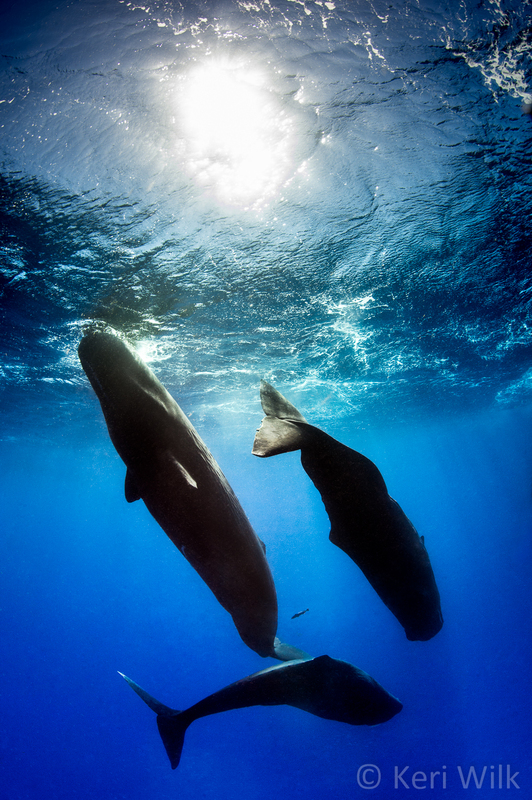 False-killer whales? 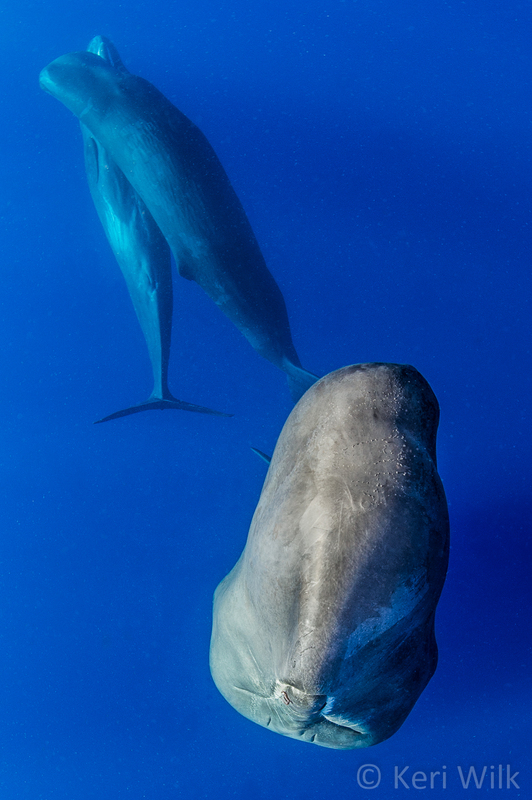 Beaked whales? They're all fair game (we saw all of these, and more in March 2014). For 8 hours a day, I've chartered the Arwenne (recently destroyed by Tropical Storm Erika, and replaced with an unnamed boat), which is captained by Dominica's whale-tour pioneer, Jerry Daway, and guided by Images Dominica's Arun "Izzy" Madisetti. If we don't find whales one day? We can take a leisurely cruise along the coastal villages, stop at some shallow reefs to snorkel, or visit some FADs (Fish Aggregating Devices) for interesting photo opportunities. The boat is ours, and we can do what we want with it, within reason. I have 2 permits available, each of which can be submitted with a maximum of 8 names (including me). However, having 8 people on the boat is too many, in my opinion, so I'm trying to keep the number of guests on the boat down to I've broken each permit into 3 blocks each, which allows the total number on the boat to never exceed 5-6 (excluding crew). This gives each guest more in-water time with the animals and keeps the boat clutter-free. All prices are in USD, and subject to change without notice. A deposit of 40% of the total trip cost is required to reserve your spot, and full payment is due January 1, 2016. Cancellations made before January 1, 2016 will be refunded in full. Cancellations after January 1, 2016 will only be refunded if the spots can be sold. I'll be leading both permits. 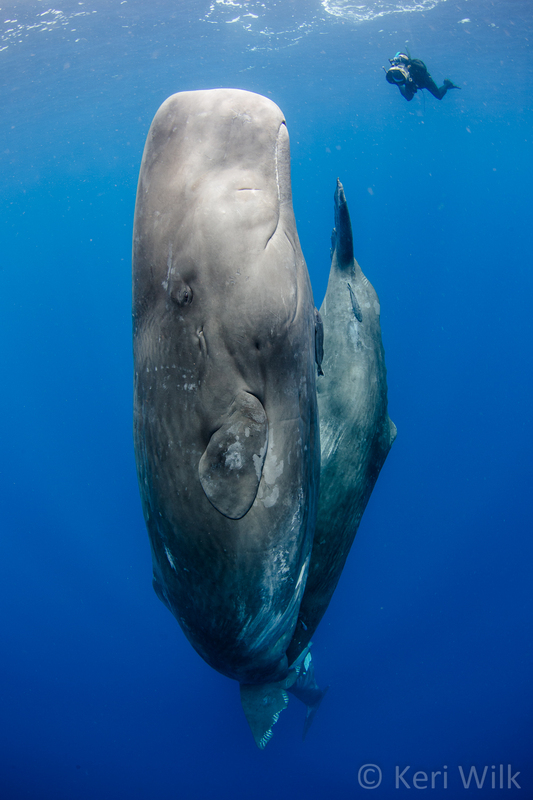 This will be my 4th year in a row in the water with these whales, bringing my cumulative on-water tally to almost 500 hours. Arun "Izzy" Madisetti (our guide) and Jerry Daway (our captain) are both seasoned veteran whale-spotters, who will make sure that if there are whales around, that we'll be hot on their tails. 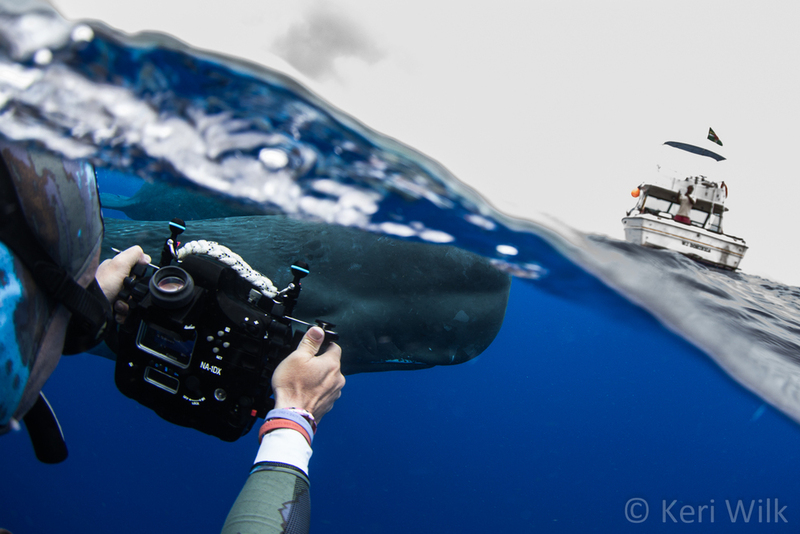 If you need any help with your camera/housing, want to learn some helpful editing tips for whale images, or want to go into town after we get back, I can help! Lodging: We recommend Castle Comfort Lodge as home base (that's where I'll be staying, and where the boat will be picking us up each morning). I've known them almost my entire life, and have never stayed anywhere else. Of all of the choices, they've got the best kitchen staff, bartenders, management, and dive staff, in my opinion. There are, however, other lodging options available, depending on availability. Evergreen Hotel and Anchorage are on either side of Castle Comfort, and offer similar quality rooms. If you want a more luxurious hotel, then Fort Young Hotel is where you might want to stay. It's just a couple of minutes down the road from Castle Comfort. Let me know if you need any help deciding, or have any questions! Day 0 - Arrive in Dominica. We'll have a driver waiting for you at the airport to take you to your hotel. Enjoy the mountainous ride across the island, then unpack, set up your camera gear, and get some rest, because we're starting bright and early in the morning! Day 1-5, 1-6, or 1-10 - Our boat leaves the Castle Comfort dock between 7:00-7:30am. We can meet for breakfast, or you're welcome to eat solo. After spending 8 hours on the water tracking whales (or whatever else we decide to do! ), we'll come back to the dock - typically between 3:00 and 4:00pm, depending on whale activity and the consensus of the group. Dinner at Castle Comfort is excellent, but if you want to venture into the city for a wider variety of options, it's a short walk, or even shorter taxi/bus ride away. Get lots of sleep - you will be exhausted! Day 6, 7, or 11 - Pack up, and get ready for the airport. I'll arrange the necessary transportation. 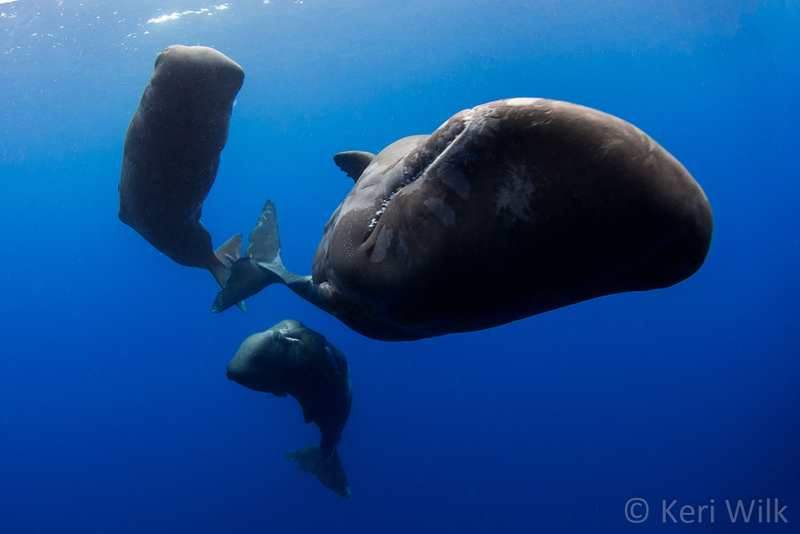 Make sure that you say goodbye to your new whale friends... they'll be waiting for you next year! 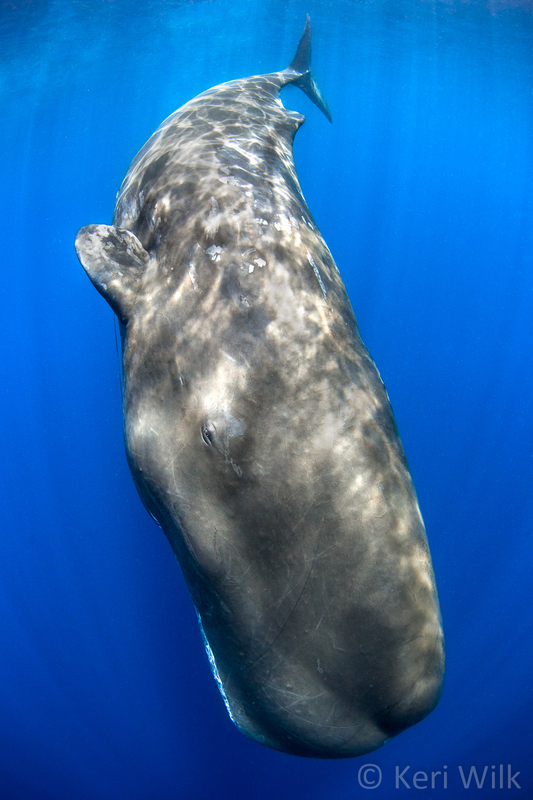 Sperm whales are big, but the ocean is bigger. I can't guarantee that we'll see anything, but I can tell you about my experience for the last 3 years on these permits. 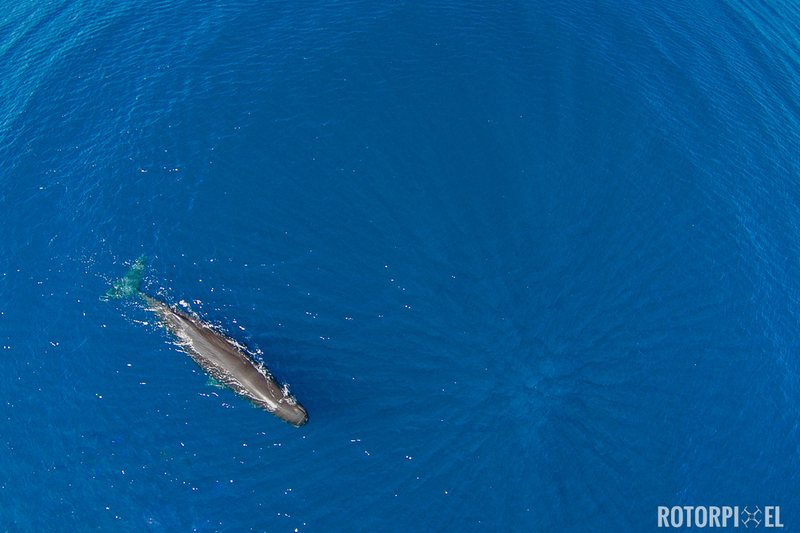 I've spent 55 days on the water looking for whales so far, and I've only had 10 days without any sign of whales. Those are pretty good stats so far, and are somewhat typical. 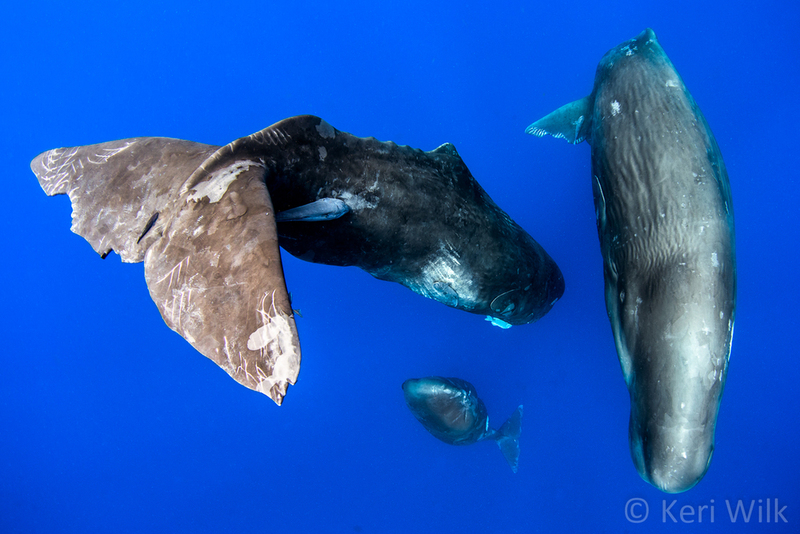 Of the 45 days that we've had whale sightings, another 16 of those days had limited in-water interaction with whales. On 25 of the remaining days we've had great success tracking with a number of whales, spending the majority of each day doing drops into the water, and having some curious juveniles moderately interact with us. 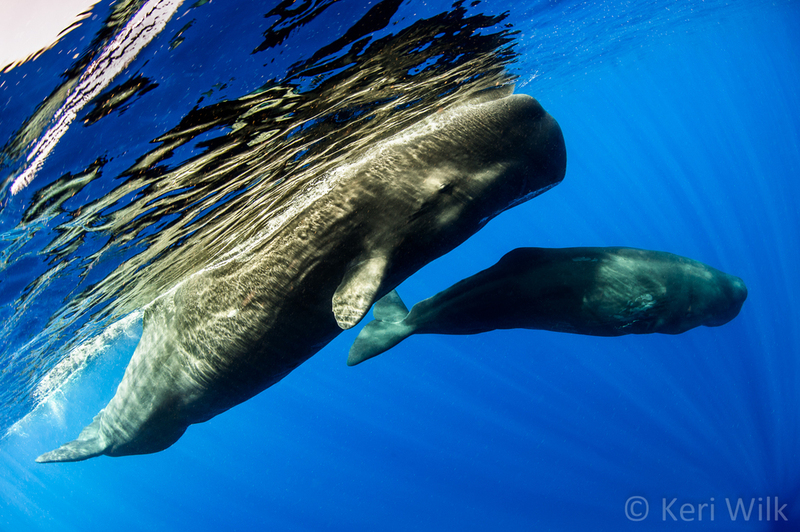 Finally, on the remaining 4 days that haven't yet been accounted for, we've encountered socializing sperm whales. 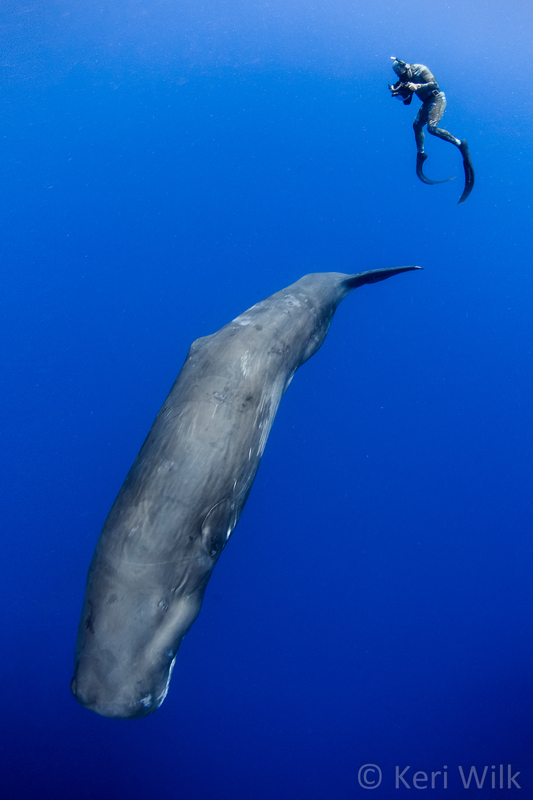 This is the holy grail of sperm whale encounters, and is what we are looking for every day, with fingers crossed and lucky swim shorts on.